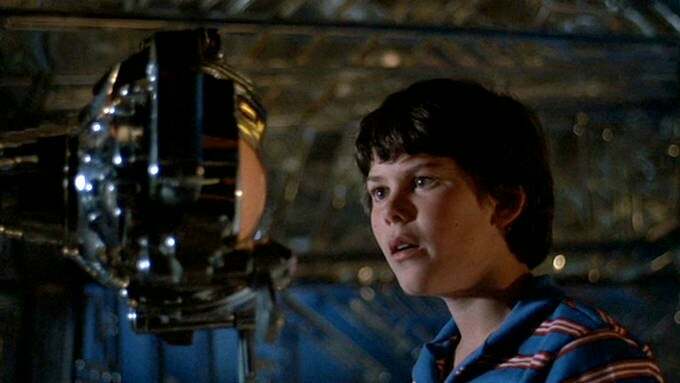 Former child star Joey Cramer, best known for his leading role in Disney's Flight of the Navigator, has been arrested in connection with a bank robbery in Canada. Cramer, 42, faces several charges including robbery, disguise with intent to commit an indictable offence, failing to stop for a peace officer and dangerous operation of a motor vehicle, according to CBC News. "Here on the Sunshine Coast, robberies are extremely rare," Constable Harrison Mohr of the Sunshine Coast RCMP said. "We're fortunate that the officers were able to get the suspect into custody quickly." They were able to do so, according to Mohr, because Cramer has had run-ins with law enforcement recently, so in spite of the bank robber wearing a disguise, the RCMP quickly identified the suspect as Cramer. This should be considered as just a rumor for now, but it’s a convincing one. Let’s just get what you came here for out of the way, and not bury the lede: Garret Dillahunt (Justified, Deadwood) may have been cast as the terrible, no-good, murderous Negan in AMC’s The Walking Dead. The general consensus is that Negan’s arrival is imminent, and it wouldn’t be shocking at all if the barbed wire bat-swinging baddie finally made his appearance this season during the finale. Dillahunt plays up the comedy on Raising Hope, but on Deadwood and Justified, he showed the kind of villainous chops that would suit Negan just fine. What do you think? Would he be a convincing Negan? 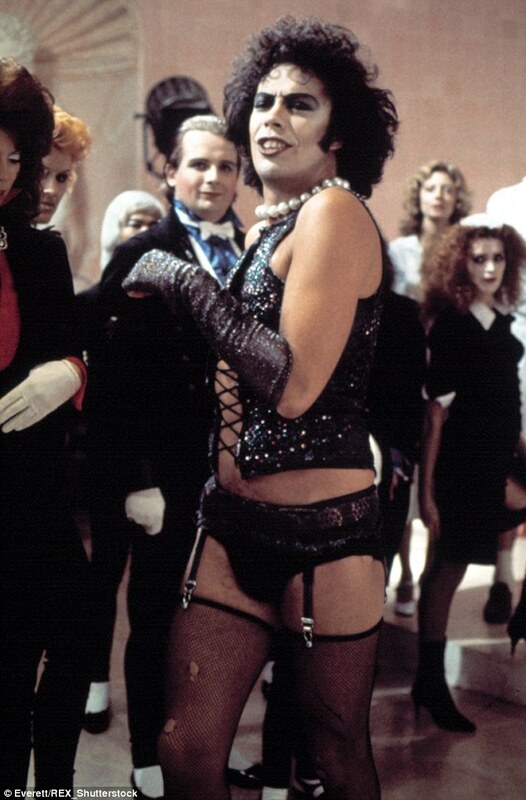 Marilyn Manson occasionally takes time out of his rock-god schedule to pursue acting. He’s amused by this new profession and would make a full-time switch if he could. 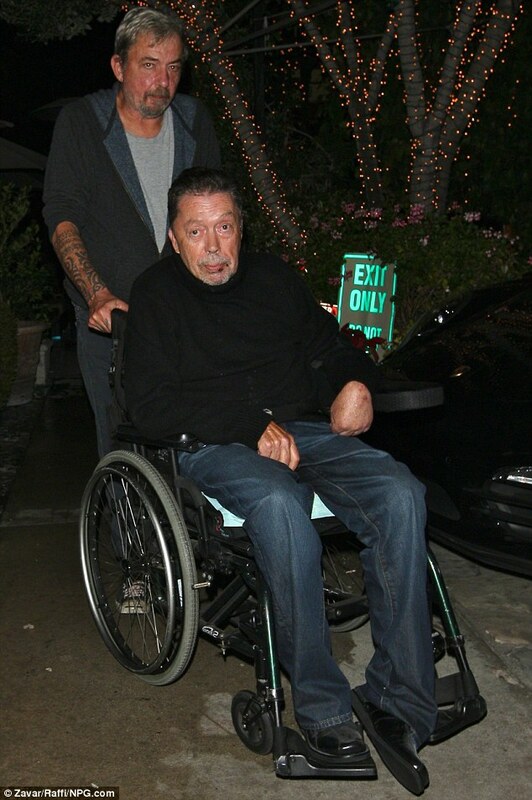 Manson received acclaim for his bit part in the final season of Sons of Anarchy. Now he’s appearing in a substantial role in Let Me Make You A Martyr. The indie movie was shot in Tulsa, Oklahoma on a $200,000 budget in July. 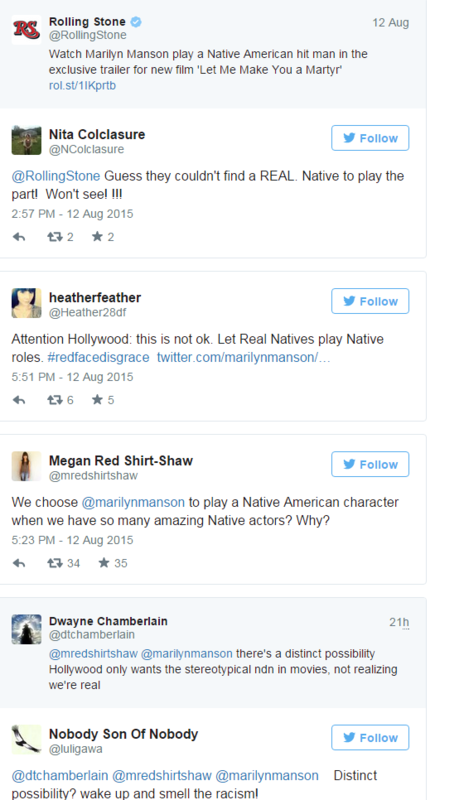 The trailer, which is framed as a “cerebral revenge” tale, hit the internet on Wednesday. 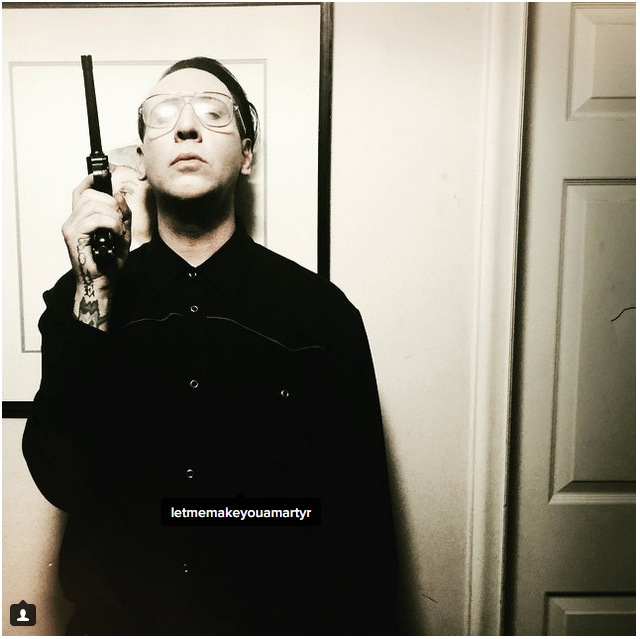 Here are some shots of Manson on the set of Let Me Make You A Martyr. He also got bored andwent roller skating while he was in town. 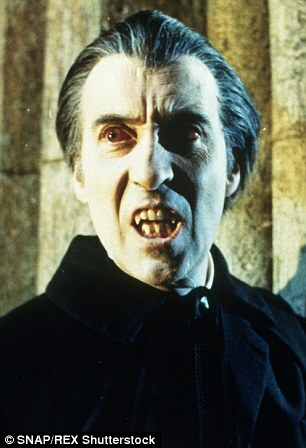 The legendary actor was best known for his roles in Count Dracula, Hammer horror films, and Lord of the Rings. 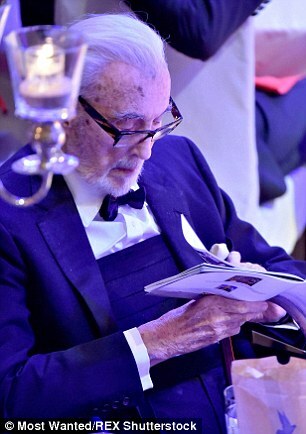 CHRISTOPHER LEE, THE legendary actor who appeared in films spanning from Dracula to James Bond, has died at the age of 93. He had been hospitalised recently for respiratory problems and heart problems. 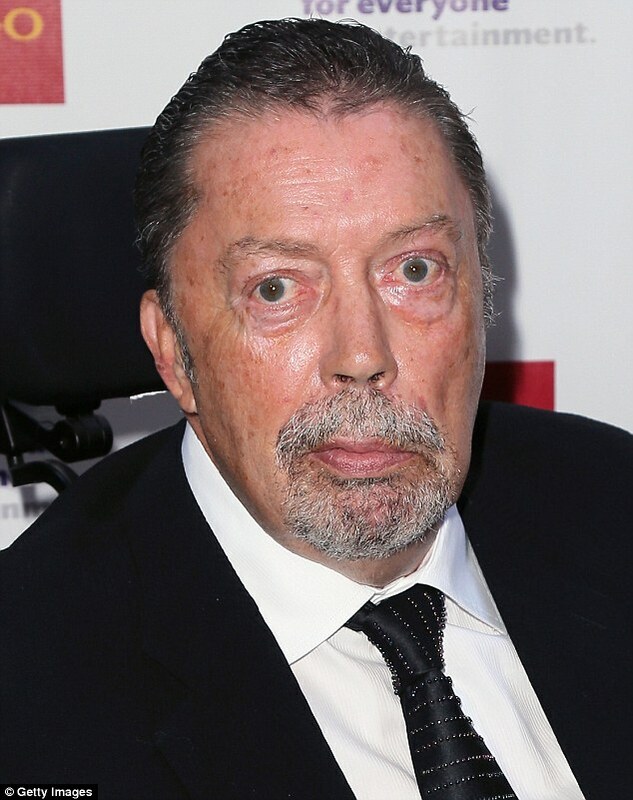 The actor was best known for his dark roles in films such as The Wicker Man, Dracula, the Lord of the Rings trilogy, as well as the Hammer horror films in which he first found fame. 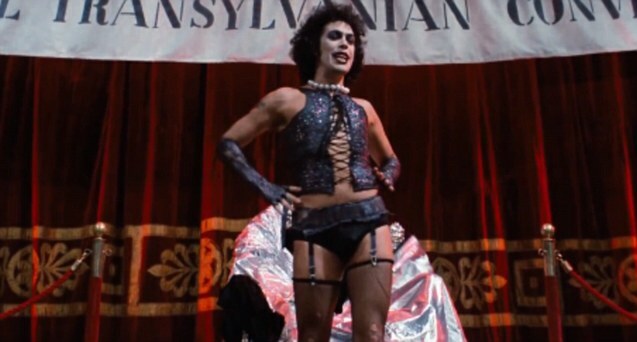 However he was loathe to be pigeonholed as ‘just’ a horror actor, in a career which spanned genres. 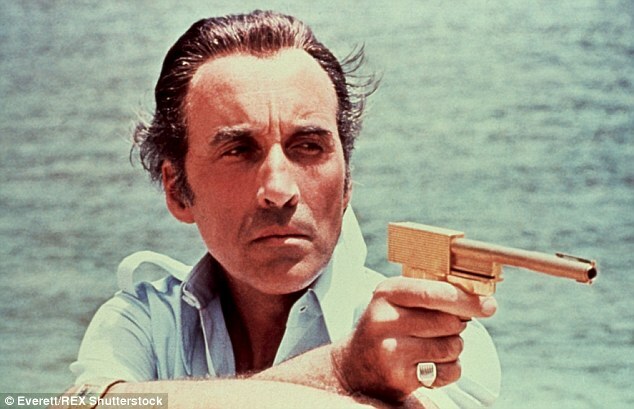 He was one of the most memorable James Bond villains, playing Scaramanga in the 1974 films The Man With the Golden Gun. 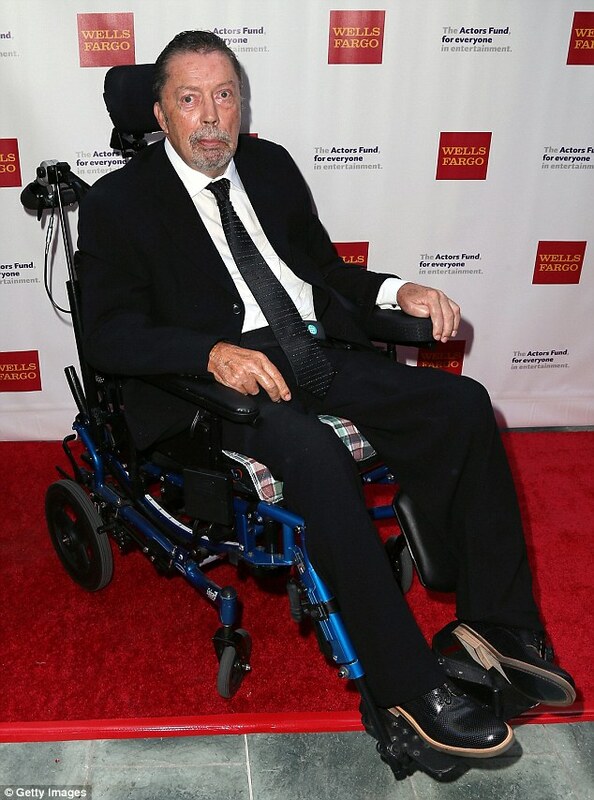 He was introduced to a new generation in his roles over the past two decades, including as Saruman in The Lord of the Rings and The Hobbit, and Count Dooku in the Star Wars films. 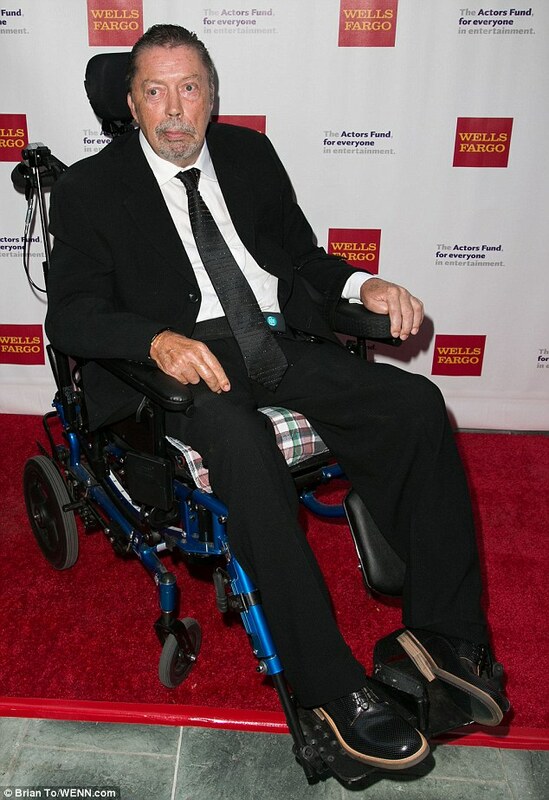 He also appeared in Tim Burton films Alice in Wonderland and Sleepy Hollow. He died on Sunday morning in a London hospital, but his death was only confirmed this afternoon. 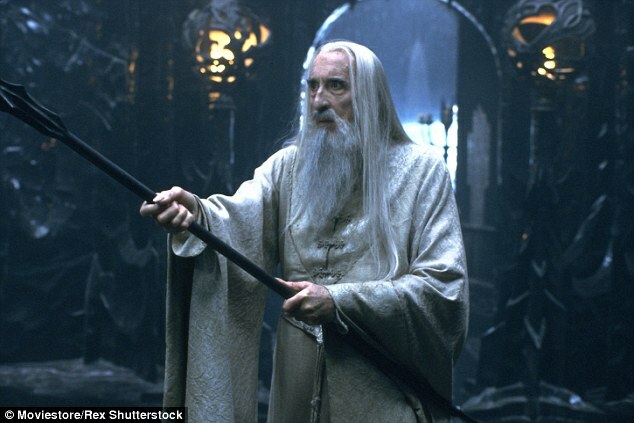 Film legend Sir Christopher Lee has died at the age of 93, it was reported today. The actor - known as a horror star in the 1950s before finding fame again in later life - had been treated for heart failure and respiratory problems in hospital. He died at the Chelsea and Westminster Hospital in London on Sunday morning, the Telegraph reported. 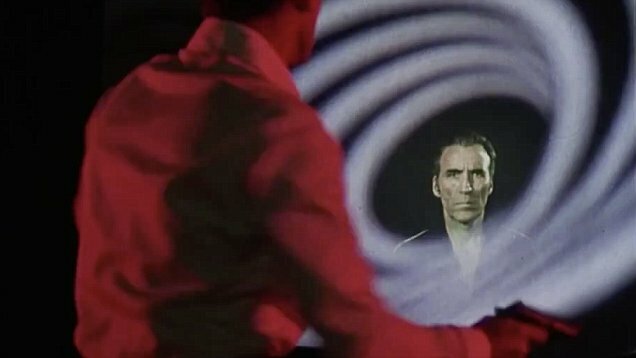 Sir Christopher played Dracula in a series of classic films produced by Hammer Horror, and played Bond villain Scaramanga in 1974's The Man With the Golden Gun. 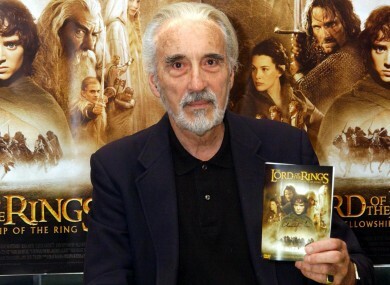 He became known to a new generation of film fans with his roles in Lord of the Rings, where he played evil wizard Saruman, and the Star Wars prequels. Some of his most acclaimed performances came in cult films - Sir Christopher starred in The Wicker Man, about a remote community living on a Scottish island, and Jinnah, a biopic about the founder of Pakistan. After the news broke today, stars and fans paid tribute to the actor whose influence lasted for several generations. 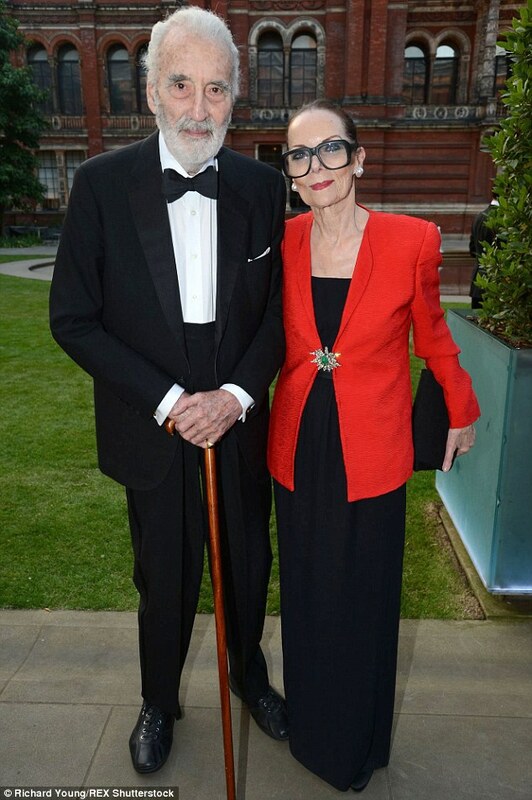 Sir Christopher was married for 54 years to Birgit Kroencke, a Danish former model. The couple have one daughter, Christina. He served in the Special Forces during the Second World War, but always refused to discuss what he had done during the war, saying he was bound by an oath of secrecy. 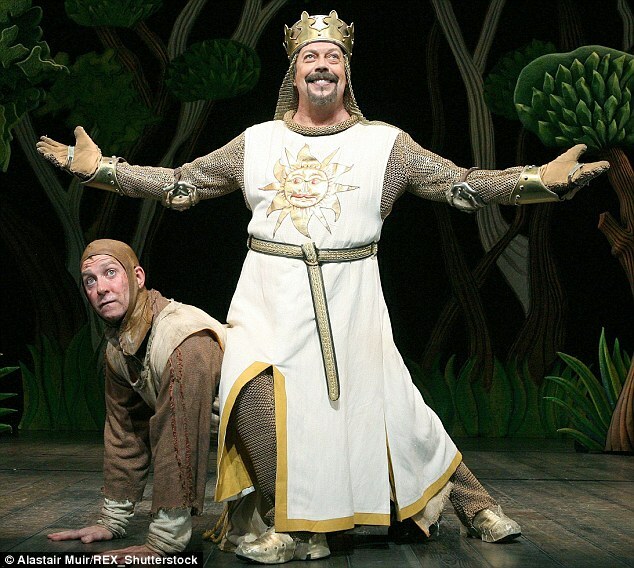 As well as his acclaimed acting career, he had a sideline as a heavy metal singer, releasing four albums in the past two decades, two of which were concept albums about the medieval emperor Charlemagne. He also unmasked himself as an unlikely Tory in later life, speaking out in support of Michael Howard, William Hague and David Cameron. His final film appearance is set to be in Angels of Notting Hill, a comedy about the clash of the everyday with celestial beings. With his piercing eyes, booming voice and chilling presence, Sir Christopher Lee will be forever immortalised as the Prince of Darkness. His menacing charisma established him early on as one of the film industry’s world-class villains and he went on to star in more than 260 movies before his death at 93. 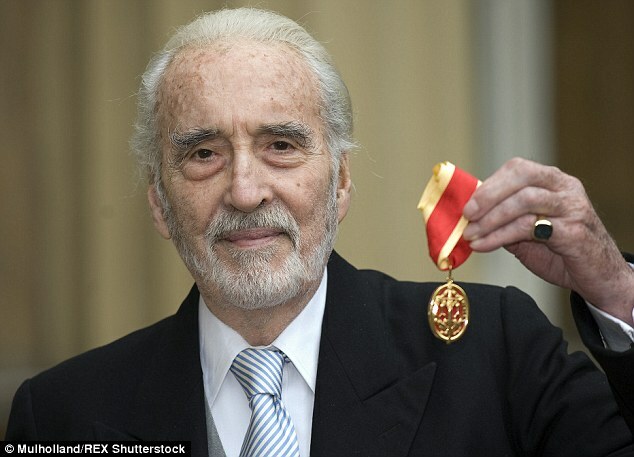 Sir Christopher brought a demonic intensity to all his roles and became a household name playing notorious villains including Dracula, Scaramanga in The Man With The Golden Gun, Saruman in the Lord Of The Rings, and Count Dooku in the Star Wars prequels. Hammer Films gave him his big break when they cast him as the creature in 1957’s The Curse of Frankenstein. His remarkable mime performance as the brain-damaged monster convinced the studio to cast him in his definitive role as the Count in Dracula. Suddenly Sir Christopher was a bankable star. Concerned at being typecast in blood-curdling roles and wanting to break free from his image of Dracula, he agreed to star in the 1973 film, The Wicker Man, for free and considers it one of his greatest roles. He was knighted for services to drama and charity in 2009 and received a BAFTA Fellowship in 2011. 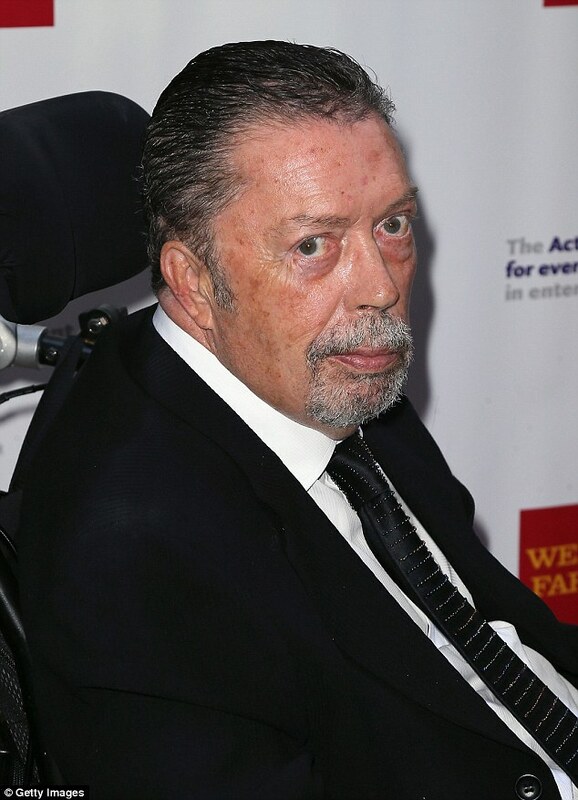 The Hammer Films icon was also presented with a prized British Film Institute Fellowship by his Sleepy Hollow co-star, Johnny Depp, at the 2013 London Film Festival. Depp described him as a 'national treasure' and said working with Lee was a 'childhood dream come true'. Standing at an imposing height of 6ft 5in, the world champion fencer did all of his own stunts and holds a Guinness World Record for participating in more on-screen sword fights than any actor in history. Fluent in English, Italian, French, Spanish and German, he added to his impressive resume by providing the voice-over for many films and video games, including cult classic The Nightmare Before Christmas. Sir Christopher also used his resonant and unmistakable tones to record several musical works and said he would rather have been an opera singer than anything else. He became the oldest person ever to record lead vocals on a heavy metal track when he released a progressive symphonic power metal EP about the life of Charlemagne at the age of 88. By the Sword and the Cross was so well received that he was honoured with the Spirit of Metal award in the 2010 Metal Hammer Golden God awards ceremony. His career and unusual home life was recounted with self-deprecating wit in his autobiography, Lord of Misrule. The book gives the reader a privileged glimpse into his upbringing and family life, revealing that he is descended from papal nobility. His mother, Contessa Estelle Marie, was a famous Edwardian beauty who was painted by Sir John Lavery, Oswald Birley and Olive Snell. Sir Christopher was happily married to Danish model Birgit Kroencke for 53 years and they had a daughter named Christina Erika Carandini Lee. Before breaking into the film industry, he served in the Royal Air Force and intelligence services during the Second World War. He was tasked with helping to track down Nazi war criminals in 1945 when he was seconded to the Central Registry of War Criminals and Security Suspects. 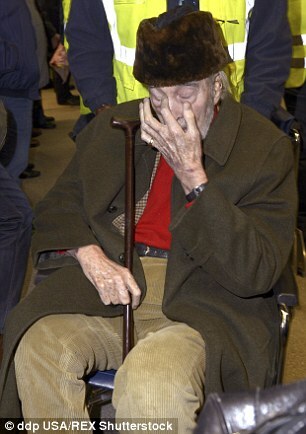 Sworn to secrecy, Sir Christopher has been guarded about disclosing any details of his work in military intelligence. You've Already Seen A Few Of Them In The Fellowship Of The Ring! Whether you’re in the group that loves or in the group that hates the Hobbitmovies, there’s no denying that these were pretty big films that made A LOT of money! Even though the movie was called The Hobbit, most of the attention was focused on the dwarves and their epic quest to retake the Lonely Mountain from the dragon, Smaug. We spent three movies watching these dwarves fight for what was rightfully theirs, so it’s hard not to get attached to some of them. But have you ever wondered what happened to the dwarves after all was said and done? Dwarves live for a while, so where were these characters during The Lord of the Rings trilogy? The answers for some of them might not be exactly what you wanted to hear! Let’s dig in! Forty-eight years after being settled in the Lonely Mountain, Oin made his way back to Moria to reclaim the realm for the Dwarves. It was five years later that the orcs attacked, and when he could not escape over the Bridge of Khazad-dûm, Oin tried to exit through the Hollin Gate. It was there he was killed by the Watcher in the Water, a creature that Frodo and the rest of the Fellowship would later encounter. Ah yes! Gimli’s father. His life was much longer and more peaceful than his brother’s. He remained at the kingdom under the mountain and was also sent at the Council of Elrond when the Fellowship was formed. He would later die naturally at the age of 253. Dwalin was a smart one. He decided to stay at the Lonely Mountain where he lived out the rest of his life, dying at the ripe, old age of 340. He lived through the war of the ring, but it was never revealed if he or Gloin ever took part in it. Good ol' Balin. In the Hobbitmovies he was always one of the most liked Dwarves. In fact, he ended up leading an expedition to Moria where he later became The Lord of Moria for some time – until the orcs attacked and he was killed by one of their archers. Remember that Tomb in Fellowship of the Ring? Yup. That was Balin’s tomb. Bifur has an axe in his skull, I think he’s had to deal with enough stuff in his life to be bothered with anymore violence. He also stayed back in the Lonely Mountain and lived out his life. His age at death is unknown. Ditto for Bofur. He also lived out his life in the mountain. You know, for a place called the Lonely Mountain, it doesn’t seem quite so lonely there, does it? Bombur, like many of the others stay behind in the Lonely Mountain and enjoyed the rest of his life…a little too much. Bombur had grown SO FAT that it eventually took the strength of six dwarves to lift him to the dinner table. Dori and Nori also stayed in the mountain where they grew their wealth and lived rich, and happy, for the rest of their lives. Like Dori and Nori, Ori – the lovable idiot – also stayed in the mountain where he lived out his life peacefully with a wife and children. EXCEPT THAT DIDN’T HAPPEN! Ori actually joined the expedition to Moria and after burying Balin he was killed by the onslaught of orcs that attacked. Remember that morbid diary entry Gandalf read in the Fellowship of the ring? That was Ori’s diary. Bard rebuilt his ancestral town of Dale at the foot of the Lonely Mountain. He eventually became its king, establishing and maintaining good relations with the dwarves, where he lived peacefully and his son Bain succeeded him after his death. I should save this for when I do my Hobbit 'Based On' video eventually, but I need to vent it here. Kili never fell in love with an Elf, much less meet Tauriel because she wasn’t even a character in the book. Peter Jackson created her just for the movie so he could force in an awful dwarf/elf forbidden relationship to emotionally manipulate the audience (it didn't work). Evangeline Lily was great in her role, but her character felt unnecessary and only weakened the story in my opinion. -- So there you have it, the fate of the dwarves! The adventures that happened inThe Hobbit definitely impacted what would eventually take place in The Lord of the Rings trilogy, mainly due to it being how Bilbo found the ring of power. While, at times, there were unnecessary moments in the films, there were also moments that captured the magic of Middle-Earth and made you want to be part of it! Following a successful Cannes Film Festival premiere, David Sandberg's 80s-inspired film Kung Fury makes its highly anticipated online debut this week. Kickstarter-funded by 17,000 backers, the 30-minute film follows a Miami-based kung fu cop as he time travels from the 80s to the 40s on a mission to take out Adolf Hitler - a plotline augmented by 399 over-the-top VFX shots delivered by a 46-person crew at Scandinavian VFX house Fido. Using Autodesk 3D modeling, animation and digital sculpting solutions, Fido created and refined dynamic 3D assets and scenes to bring Sandberg's 80's cop drama homage to life. Throughout ?Kung Fury,? the story unfolds in three major environments: a street intersection, a police station interior and a huge steampunk-inspired Nazi hall. Fido created each environment digitally and then integrated the work with live action green screen footage of actors. Given trailer assets originally designed by Sandberg in 3ds Max, Fido transferred the files to in-house Maya workstations and used the assets as an aesthetic guideline to model, texture and refine the film?s environments, elements and main CG characters, including two robots, a Tyrannosaurus rex and an eagle. After finalizing VFX work and compositing, Fido?s crew then applied a specially designed filter to footage to achieve the VHS-reminiscent look that Sandberg envisioned. ?The movie is essentially a 30-minute VFX rollercoaster ride, so we had our work cut out for us, but having Maya as a pillar of our pipeline put us at ease. David also directs with a strong creative vision and deep understanding of VFX, so even though we faced some pretty crazy challenges, it really helped that he speaks the same language we do,? shared VFX Supervisor Cameron Scott. ? All our Autodesk tools were stable workhorses throughout production. Using Maya?s Alembic support, we were able to quickly transfer 3D assets between programs to work efficiently and meet David?s deadlines.? ?There are so many fun, crazy characters, environments and scenarios in ?Kung Fury? that VFX played a crucial role in the story. Because of my background in commercial production, I?m familiar with all the VFX tools and techniques, so I worked closely with Fido on the VFX,? said Sandberg. ?I?ve worked with Autodesk tools for a while now, and they?re some of the most best 3D modeling and animation tools out there. With outstanding creative talent like Fido behind the wheel of software like Maya, almost anything is possible, and that?s evident in the VFX they delivered for ?Kung Fury.?? About ?Kung Fury? ?Kung Fury? is an over-the-top Kickstarter-funded action comedy written and directed by David Sandberg with VFX by Fido. An 80s style action packed adventure, the film takes place in a variety of exotic locations, including Miami circa 1980s and Asgard and Germany circa 1940s, and features over-the-top characters like arcade-robots, dinosaurs, nazis, vikings, norse gods, mutants and a super kung fu-cop called Kung Fury. Sandberg completed the film in a little over a year with a strong vision and help from Kickstarter supporters, friends and family. 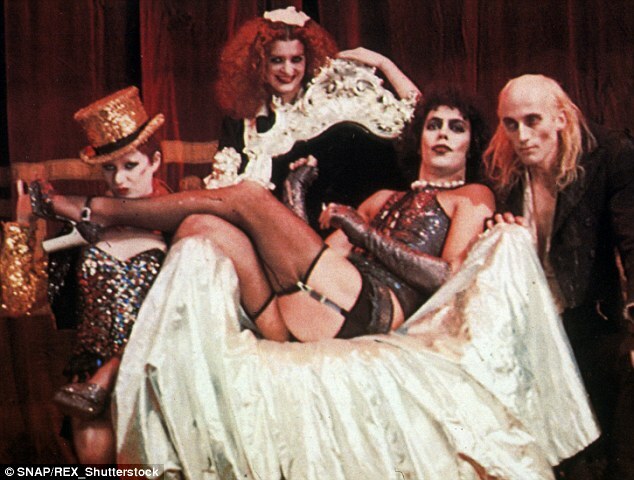 The director is currently in talks with Hollywood producers to recreate the film as a full-length feature. At age 28, stage-trained thespian Vincent Price joined Universal Studios’ classic monsters bullpen in this sequel to the James Whale/Claude Raines hit. Price stars as a man scheduled to hang for a murder he didn’t commit who takes an invisibility serum to apprehend the real killer. “The first ‘glimpse’ (!) 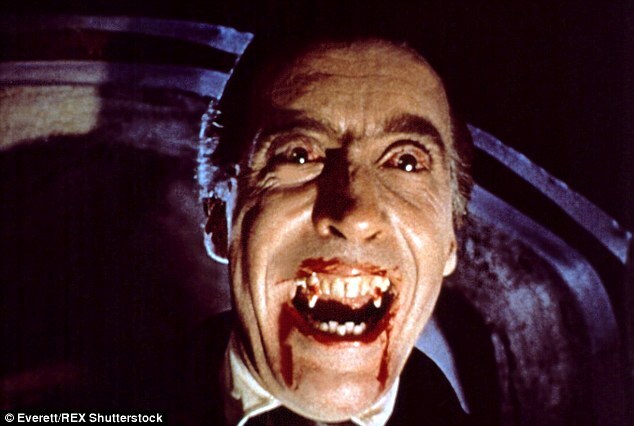 of what Vincent Price could do with just his voice,” recalls daughter Victoria Price. The mellifluous actor disappeared into the role again with an amusing voiceover cameo for 1948’s hilarious Abbott & Costello Meet Frankenstein. The horror celebrity always enjoyed sending up his image in both film and television, and in this hoot, directed by Cat People’s Jacques Tourneau, he’s a boozy undertaker who’ll literally murder for customers. “My dad loved getting to work with his dear friend Boris Karloff and the legendary Peter Lorre, whose eulogy he gave just a few years later,” remembers Victoria. “And boy did they have fun!” And we can tell! With a literate script by future Chinatown scribe Robert Towne, Corman and Price ended their Poe run with a fiery finish. As the downcast Verden Fell, Price suffers at the hands—and possessed feline claws—of his jealous deceased wife, who stalks her man when he remarries. As the haunted husband, Price contributes a subdued and nuanced performance, never upstaged by the movie’s killer cat or impressive English locations. “Tomb of Ligeia was Vincent’s personal favorite Poe film,” his offspring reveals. We could easily list another 13 petrifying Price pictures on this list, so if you have the desire to learn more about the man and his movies, go to www.vincentprice.com, check out Shout Factory’s definitive two volume Vincent Price Collection on disc and pick up Victoria’s wonderful book Vincent Price: A Daughter’s Biography, as well as Lucy Chase Williams’ The Complete Films of Vincent Price.